mmmm beg 2 differ, run cold air retard timing a little and 12 pond up here running bp ultimate and she never pinged and she wasn't slow! Im currently doing a Rb20det conversion on my vl. I've helped mates do these b4. Im having trouble setting up my power steering pump! Can you help? hey fellas, i wanna do a similar conversion but with an rb25 det. why cant you use the rb25 ecu? also will the wiring between the rb25 and rb30 be similar to that of the rb20 to rb 30? wiring is the only thing i am worried about at this stage. yeah now the price is cheap and wouldn't disagree with that at all, but back 2 years ago it wasn't so cheap! $2000 for a intercooler and piping! i have done the rb20 conversion on my vl and its not as complex as your saying. i didn't have to change over any of the things you say. for all the sensors just wire them up properly from the ecu. i didn't change any of them. all the rb gearboxes are the same(except the 4wd ones) the gearboxs are just gear out differently, on a standard vl diff the rb20 gearbox puts the speedo out by 20kmph(4.11 fix this) i've gone through a couple of rb30 boxes and a rb20 box and they swap straight over, no physical difference, and rb25 boxs will bolt straight on also. clutchs are exactly the same too. with the rb20 powersteering pump just block off one of the lines or join them both together. it works fine. aircon works fine also with the rb20 one. if you change the harmonic ballancer the altenator will be out of alignment with the belt, hence you will go throught a belt a week. just leave the rb20 one on there. apart from doing a service, waterpump(which by the way is the same as a vl one) and timing belt. you don't have to change anything. just hook it all up. and if you have all the gear there and auto to manual conversion is easy too. i did my conversion in a day. really the hardest part is the wiring, but even thats not to hard with all the diagrams. this conversion is very easy to do. so no-one on here has a wiring diagram for an rb20det?? why wouldnt ya just post it up and help out a few lads. the shifter is the same on the rb series of gearbox (not 30t). My m8 had an RB20 in his VL. he runs a Haltech computer. In need of a turbo & manifold upgrade, the ceramic wheel just wont cut it. any sugestions on what manifold & steel wheel ball bearing turbos will fits? i know the first one only has information about the wiring for a rb25det, but if you compair with the pin outs on the other site you should be able to work it all out. the main things that you don't need to worry about on the rb25 diagram is the valve timing solonoide, boost control valve, and the stuff that is not labeled and dose not exist on an rb20det, also take note that the pin outs for the injectors are different on the two motors. with the two sites above i worked out a hacked up rb20det auto wiring loom, with half the connectors missing. Last edited by darkl0n; 18-07-06 at 21:39. How did you guys manage to fit the VL slave cylinder to the RB20 box? Unless you made a bracker as they have different bolt patterns. Not really necessary anyway as you can just swap the clutch line over onto the Rb20 slave cylinder. My box came with the rb25 slave attached so i just took the VL master cyl and rb25 slave cyl into Enzed and they made up a clutch line for me. i am using a vl gearbox, so i have none of that to worrie about, also using a vl box it won't put your speedo out. sorry i think i miss read what you wrote about the slave cyl. Last edited by darkl0n; 06-04-06 at 22:51. Whats the go with that?! The VL clutch line just screws into the RB20 slave! hey what did every one else who has put in an rb20det in to a vl do, as far as the throttle cabel go's, as i made a bracket on the back of the manifold, but it only allows you to open the t/b to about 75% when your foot is flat to the floor. so did anyone swap the t/b on the rb30 to the rb20 or did ya's do something else. Car: VL sedan RB30e, VL wagon RB20DET proj. why would you replace all the sensor's to Vl ones when your going to be using the rb20det motor? i kind of missed something. 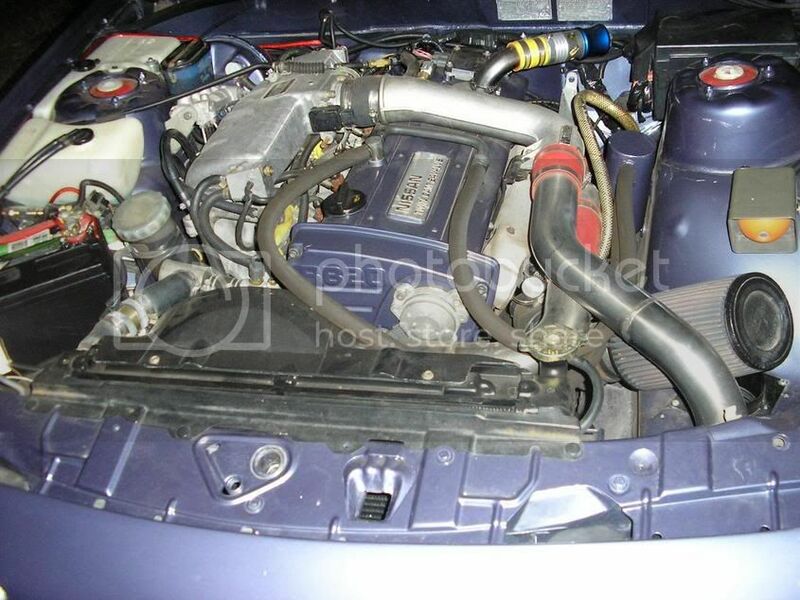 Ive also read that the engine is a direct swap, as in, take rb30 out, drop rb20 in, wire it up, and its done, i have never heard from anyone that there is a need to replace the sensors and compressor's and all that other stuff listed, im pretty sure even the engine mounts from the rb30 would bolt up to the rb20? nice write up Abusiv-VL, almost same colour as my m8s RBVL20.